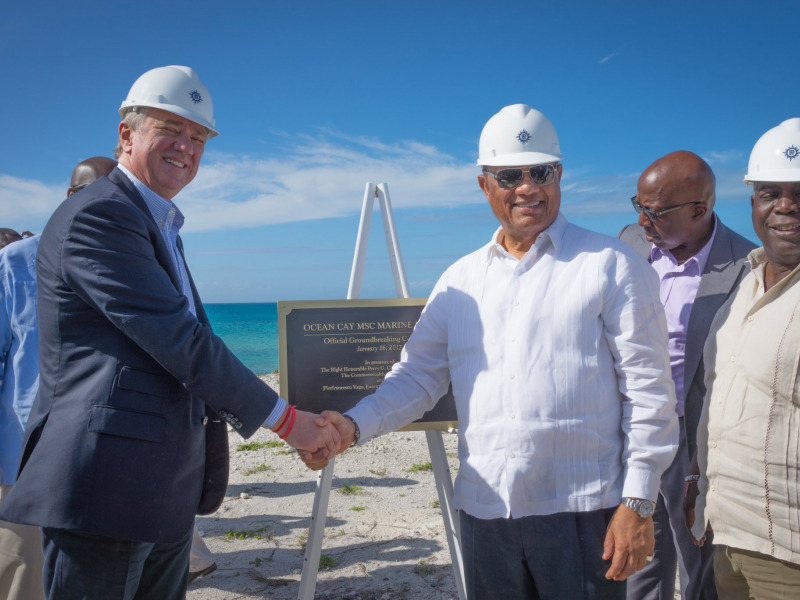 MSC Cruises, the Swiss-based world’s largest privately-owned cruise line and brand market leader in Europe, South America and South Africa, today broke ground on Ocean Cay MSC Marine Reserve. Located south of Bimini in The Bahamas, the island is set to become a natural paradise exclusive to MSC Cruises guests as of November 2018. 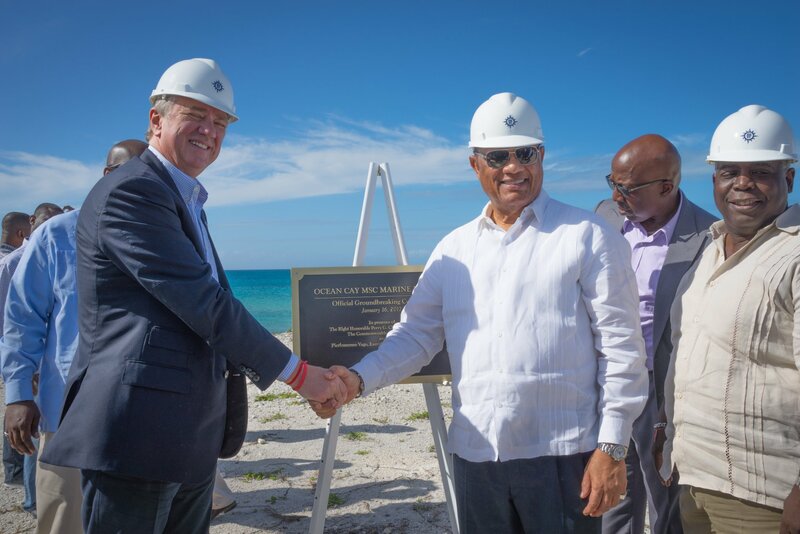 The Right Honourable Perry Gladstone Christie, Prime Minister of The Bahamas joined Pierfrancesco Vago, MSC Cruises’ Executive Chairman, at the official Groundbreaking Ceremony along with other Bahamian ministers and government officials. This milestone marks the official commencement of the works that will turn this former industrial sand extraction site back into its original pristine state. Speaking at the Groundbreaking Ceremony, Pierfrancesco Vago, Executive Chairman of MSC Cruises, commented: “Working in partnership with the Government of The Bahamas, our aim is to turn an industrial wasteland into a thriving environment for man and nature alike, bringing the island and its surrounding waters back to their original state. In so doing, we will substantially grow our Group’s already strong investment in the Bahamian economy, offering long-term employment opportunities to the local population.